Dad_Stage 4_What advice would you give? Sara Anne is right on with this one for sure.This stuff sliped on me 2 mo. ago.It is sneaky for sure. .My hope is he does well.Keep us posted . Last edit: 4 years 1 month ago by BAMA. Reason: Meet terms and conditions. Thank you for the reply. It is very sneaky. We really thought we are were on our way to a cancer free year. I am so sorry to hear about your father. This is such a sneaky disease...just when you think everything is under control, it shows up again. I do have a few suggestions. First, contact Hospice. They have so much to offer and too often patients and families are reluctant and wait much too long to ask for their help. One of the best things they can do is to provide for palliative care...really effective pain relief. And they are a great help to not only the patients, but also to families. I have been a bit of anonymous stalker for a bit. Today was my day to register after getting confirmation that my dad's cancer has moved to his bones. 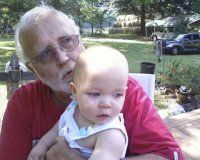 He was was orginally diagnosed with Stage 2 Bladder Cancer. He went through a full course of radiation/chemo. We were breathing easier after 2 subsequent check-ups indicated that the cancer was gone. Then he started to have pain in his pelvic bone on the same side where the original tumor was. They said it was from the radiation. It was rare but the radiation had burned his bone. Finally, a doctor asked for a biopsy and it came back positive for cancer. Today after the full bone scan, they said they see a spot on his spine as well. They are starting radiation again and will be doing chemo as well. I am obviously devastated but I also feel so ignorant. I have read the material that you have linked to... and I guess what I'm asking is what is next for our family? We know it's not curable, but can it be contained and controlled. He's already in quite a bit of pain because it's the pelvis area. The pain management consists of a pill, he sleeps. Is there anything more that I can do? Thanks so much to anyone who takes the time to read this and answer.